Since we are well into November I decided it is time to take a look at my October goals and see how I did. 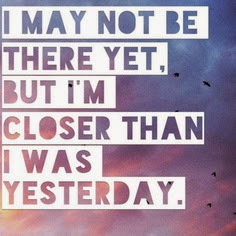 I also want to set some new goals for November, although a few might carry over from October. Did you set goals for yourself in October? How did you do? 1) Do at least 2 art projects a week with Ariana. We did a few art projects. We focused on numbers, letters and colors. She can count to 10, recognize her letters, and knows her colors. I am a proud momma! 2) Listen to my body. I did this quite well. 3) Read 2 books. I read a fiction book and stared a few non-fiction ones. I will get through them this month. 4) Walk outside once a day with Ariana and talk about what we see. This was fun, she loved picking up leaves and spending time outside. 5) Spend some time with just me and the hubby after Ariana goes to bed, doing something other than just watching tv. Well, we spent time together, but we mostly watched tv. 6) Go to Church! I fell short on this one. I will try to make it this month! 7) Do more yoga! I didn't make to any yoga classes, but I did more at home. 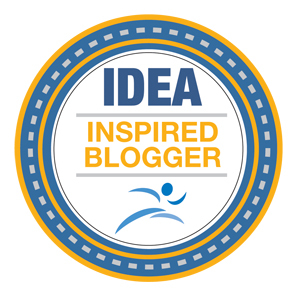 8) Read more of the blogs in my bloglovin feed and make more blogger connections. I did this one! I really enjoy reading other blogs and will continue to do so. 9) Take time to just sit and be. This one is hard with a toddler, but I did take some of her nap times to just sit and relax or read. 10) Cook more meals at home! I nailed this one! My hubby is part of a biggest loser competition at his gym (he's lost 17 lbs so far, so proud of him! ), so we are cooking more meals. We talked about how important having healthy food prepared is to weight loss success. Go babe! 1) Read a non-fiction book. The two I stared are Wheat Belly and a parenting a toddler book. I will get through at least one! 2) Stay consistent with my workouts. Working out at least 5 days a week. 3) Doing more things with Ariana. Taking her to a story time, or play classes. We do Kindermusik weekly, but maybe add in a few other things throughout the month. 4) Go to my Kickboxing class at least once a week! 5) Try 3 new recipes. Sometimes I get stuck in the same meals rut. I want to try some new meals and maybe a few crock pot recipes too. If you have any great ones to share I would love to try them. Okay, I feel like these 5 goals are attainable for the rest of this month. Since Thanksgiving and my best friends wedding are coming up I know I am going to be busy, but I will make the time for my goals. 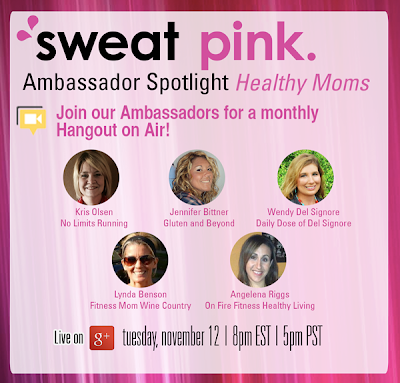 I am so excited to be a part of the Sweat Pink Ambassador Healthy Moms Spotlight. If you are on Google+ make sure to join us on Tuesday November 12th at 8:00 EST. Here is the link to the event, make sure to RSVP. You can ask questions and learn more about these healthy moms. Labels: New November goals, October goals recap, Sweat Pink Ambassador Healthy moms spotlight.